15 years after "Lost in la Mancha", Keith Fulton and Louis Pepe come back to follow Terry Gilliam's new (successful) attempt at filming "The Man Who Killed Don Quixote". They've got a story...but have lost the plot. Terry Gilliam: [giggling] That's the trailer for the film, right there. "Coming soon"! 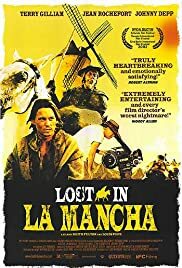 LOST IN LA MANCHA (2003) ***1/2 Uproariously funny and insightful documentary by Keith Fulton and Louis Pepe who originally were shooting a making of docu for director Terry Gilliam's latest film, The Man Who Killed Don Quixote which soon became a document of Murphy's Law: Everything that can go wrong will go wrong. 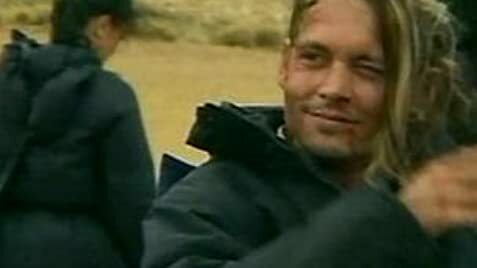 Gilliam's plagued production is a cautionary and comic parable for budding filmmakers as well as the struggles a true visionary has in Hollywood even when faced with foreign backers instead. Hopefully the aborted project will one day continue for the brilliantly subversive Gilliam; only time will tell in this timeless fable of folly. Features Johnny Depp, Jean Rochefort and narrated by Jeff Bridges.